Reporting and analysis is made easy thanks to our powerful True Occupancy software platform. Data from installed devices is securely transmitted to the cloud where reports are generated automatically. 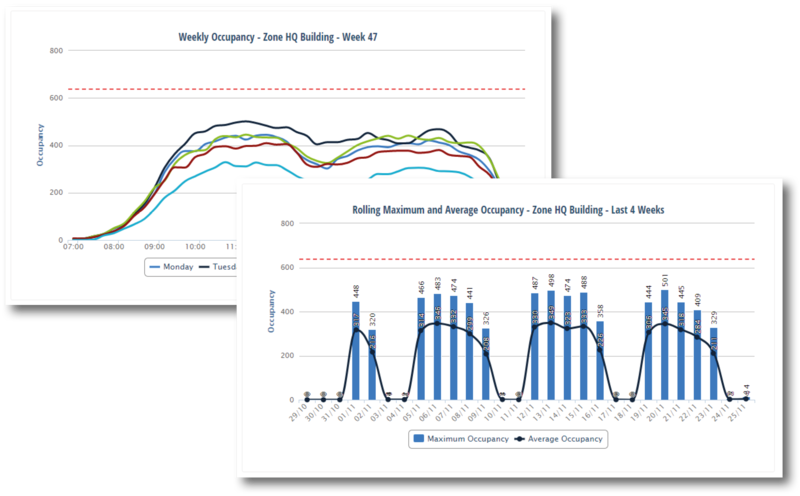 Instantly see how buildings, floors, zones and rooms are utilised, identify usage trends and measure performance against KPIs. Have more than one building or location? Occupancy data from these separate locations can be accessed and analysed from a central cloud platform. 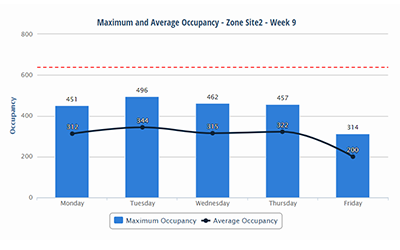 Maximum occupancy reached - split by day and by zone. 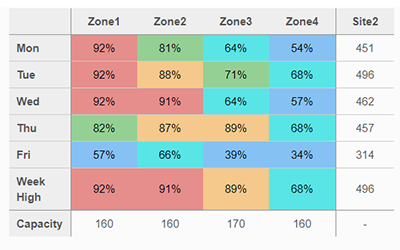 Can be viewed as colour coded table or graph. 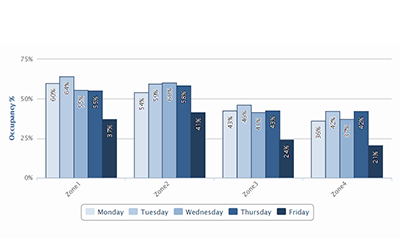 Average occupancy for a week - split by day and by zone. Daily occupancy of zones, floors, buildings in 15 minute intervals. Occupancy of zone, floor or building - split by day and shown over time. 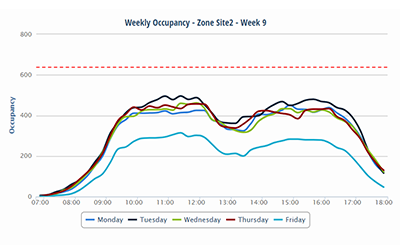 Weekly maximum and average occupancy of a zone, floor or building - split by day. Easily integrate accurate occupancy data in to your existing systems via MQTT or REST API. Sample documentation will be made available soon.